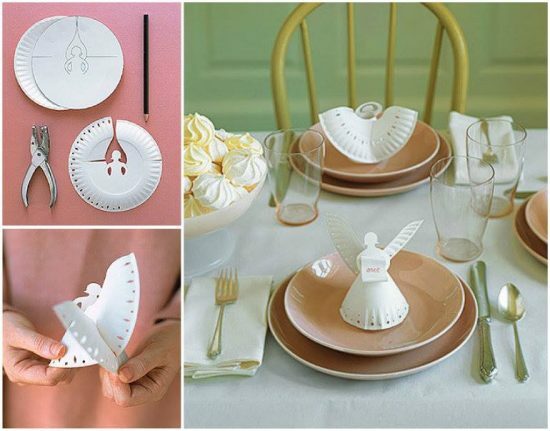 These Paper Plate Angels Templates are stunning and you will love to add them to your table. They are easy to make and look great. See how to make them now. There is always a special occasion on the horizon. It could be a wedding, memorial, christening, baptism or baby shower. Whatever you are celebrating, there’s hardly a time that an Angel would not be welcome and you’ll love this idea. The best part about this easy project is that you only need a few simple items to complete this craft as listed below. Step 1: Using the Template below trace out the Angel shape onto your paper plate. 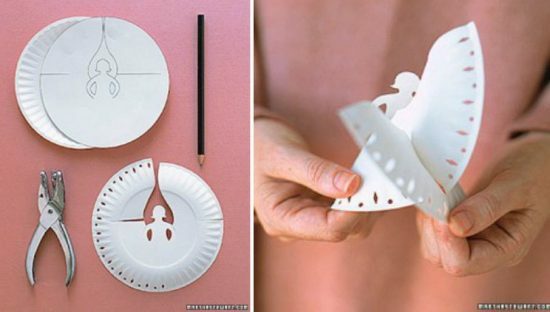 Using a Trace a paper angel shape onto a plate with the fluted edge showing. 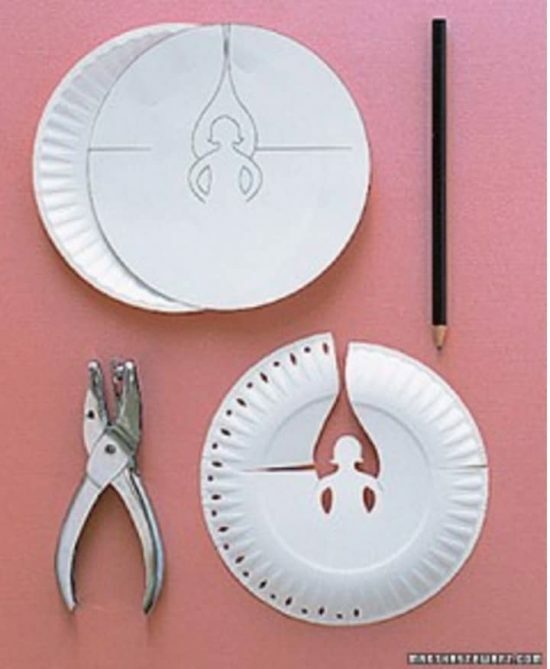 Use a knife or scissors to cut out the shape. The two cuts for the wings are different, one made from inside out, the other from outside in. Embellish the edge of the plate with one or two decorative hole punches. Step 2: With the Angel facing you, shape her skirt into a circle; slide the outside cut over the inside one to make wings. Curl some paper around a narrow rod, such as a skewer, and make a name card. Secure it in her hands with a dab from a glue stick. 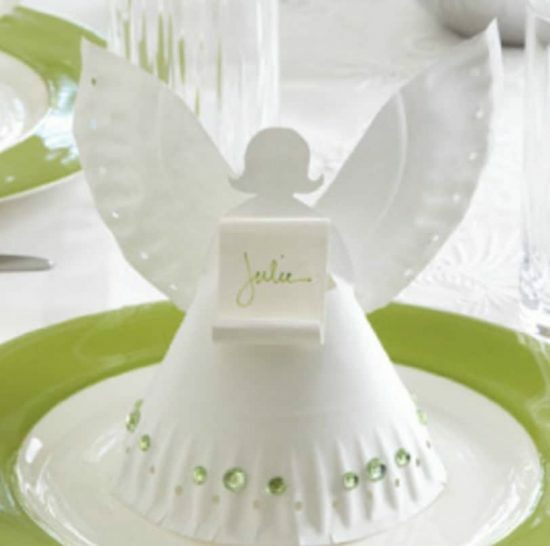 You can personalize your Paper Angel with craft embellishments around the bottom of your Paper Plate Angel like the one above. You can find the full particulars for this craft including a full size Paper Plate Angel Template on Martha Stewart – Be sure to check out the Paper Napkin Ballerinas too.